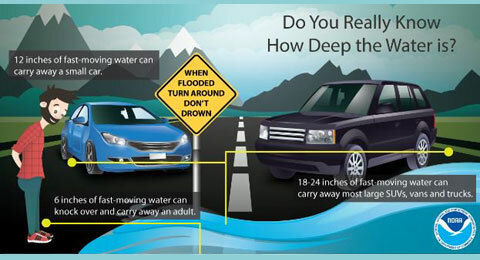 KANSAS CITY, MO – The U.S. Army Corps of Engineers Kansas City District declared a flood emergency along the Missouri River last week due to concerns resulting from heavy rainfall, saturated and snow-covered soils across the basin, and increased releases from upstream dams. The resulting effects pushed river stages into minor, moderate, and major flood stage at various locations along the Missouri River from Rulo, Neb., to St. Louis, Mo. The Kansas City District Emergency Operations Center is currently operating at a level 2 partial activation, during which the Corps collects, evaluates, interprets and disseminates flooding information both internally and externally. The Corps continues to closely monitor the situation and reiterates that during this flood event that the public remain vigilant and aware of their surroundings. The Corps is currently providing direct and technical assistance to local levee owners and operators and has dispatched liaison teams to work with both the Kansas Department of Emergency Management and the Missouri State Emergency Management Agency. The assistance includes providing sandbags and sandbag filling machines. Four non-federal levees have breached in the Kansas City District’s area of responsibility. River stages are currently rebounding in and around Rulo, Neb., and St. Joseph, Mo. The water levels are dangerously high and present great risk to people, property and levee systems. The flood crest will move downstream, expected to impact non-federal levees systems more than federal levees along the Missouri River. Information thanks to the U.S. Army Corps of Engineers Kansas City District. Graphic thanks to NOAA.